Mayflower (or trailing arbutus); photo by BlueRidgeKitties on Flickr (noncommercial use permitted with attribution / share alike). The fragrant, delicate mayflower (Epigaea regens) has been on the endangered list since 1925. 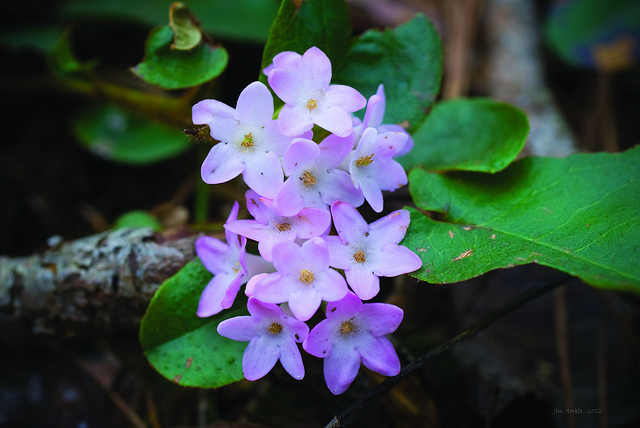 Also known as ground laurel or trailing arbutus, mayflowers prefer sandy or rocky soil, under or near evergreens.